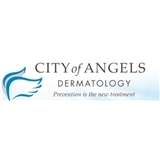 City of Angels Dermatology (Beverly Hills) - Book Appointment Online! Dr. Billips is professional, personable and knowledgeable. I appreciated her wiliness to teach and explain the details.